Some more sad news. 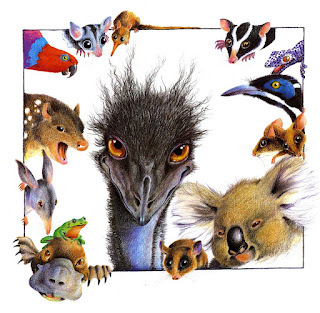 This time about the well-loved illustrator and artist Pamela Lofts who died on July 4th, 2012. Although I didn't know Pamela personally, I was a great admirer of her fine illustrations in many children's books over the years. 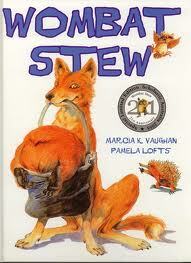 She will be remembered for her wonderful work in Wombat Stew written by Marcia Vaughan. Also the delightful drawings in Snug as a Hug, also written by Marcia. Other books, illustrated by Pamela, include Mem Fox's Koala Lou and Hunwick's Egg brought vividly to life by Pamela's gorgeous illustrations. Besides her work with children's books, Pamela was well-known as a fine artist with many art exhibitions to her credit. Pamela Lofts will be deeply missed by the art and illustration world. RIP...Pamela Lofts...your spirit will live on forever through your wonderful art that you bequeathed us all.